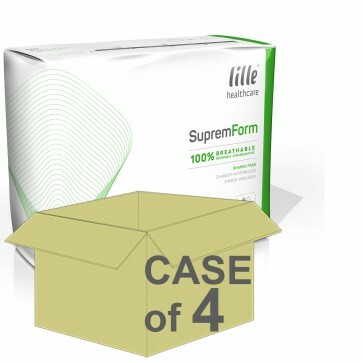 Lille Suprem Form are body shaped pads designed for effectively managing moderate to heavy incontinence. The pads feature a quiet polyethylene back sheet that is designed to limit any noise and preserve the user's dignity. Super absorbent polymer is included in the pads, which maximises the absorbency level and protects against any potential leakages. With the addition of odour neutralising technology, you are able to relax and enjoy your day without the worry of any unwanted odours. A special wetness indicator in the pads is designed to turn blue when in contact with urine, indicating when the pad requires changing. The hydrophobic leg cuffs in the product prevent any sideways leakages, providing you with confidence that you are protected against any leakages. 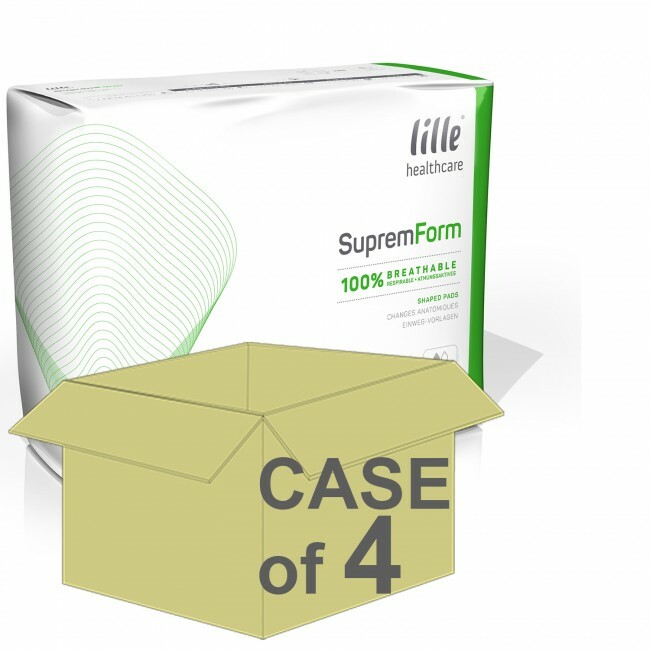 Lille Suprem Form are rustle free and discretely designed so they are undetectable underneath your clothing.